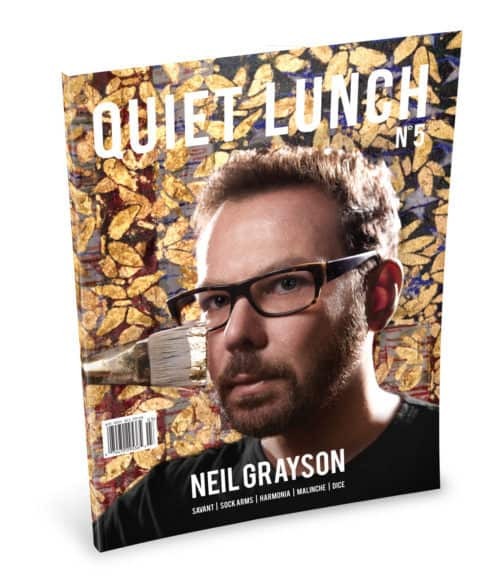 Quiet Lunch Magazine ‡ July 2nd, 2012. – July 8th, 2012. | | Quiet Lunch. Quiet Lunch Magazine ‡ July 2nd, 2012. – July 8th, 2012. This week marks the beginning of Art Month! This month we will be exploring a different medium each week and showcasing the practitioners of that very same medium. For example, this week is Type Week, so we will be feature a plethora of type pieces and number of artists who do well in the art form. Our 10th book will see artist and type connoisseur Meg Hitchock! It will also see other type aficionados like Soledad Arias, Pietari Posti, Liz Collini and Jody Barton. And just because Music Month is over doesn’t mean that we’ll be slacking on our musical macking, we also have an interview with the lovely Nyemiah Supreme! Photography by NaShish Scott/ Quiet Lunch Magazine.